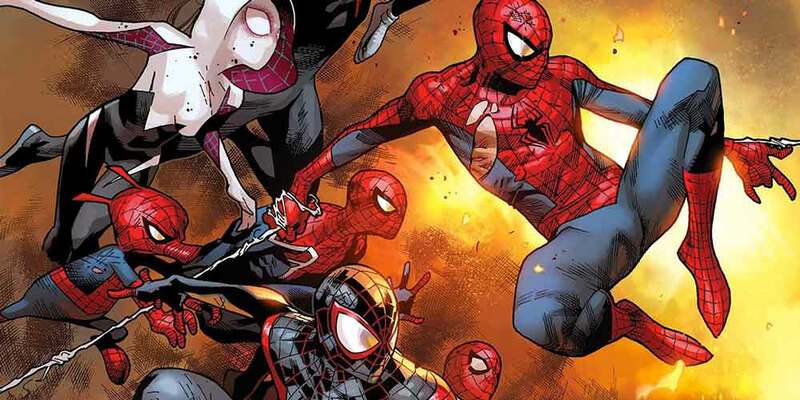 Spider-Verse — Spider-Verse is is some of the most fun you can have in comics, and is a great introduction to Peter, Miles, Spider-Gwen and way more. 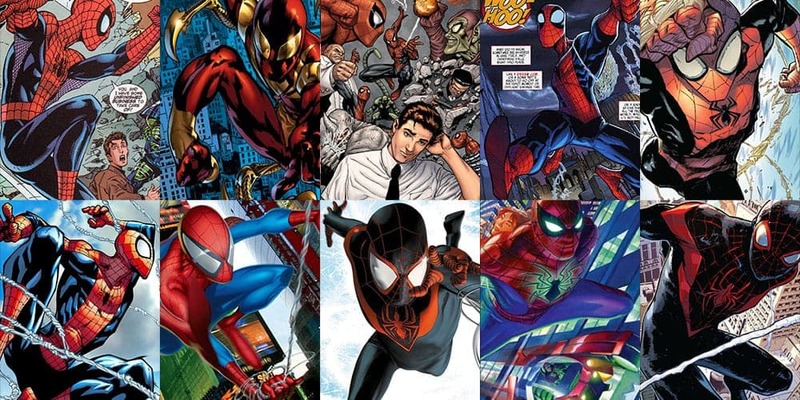 Spider-Man — Here's all of the best starting points for reading Spider-Man, with a little information and Marvel Unlimited and Book links for each. 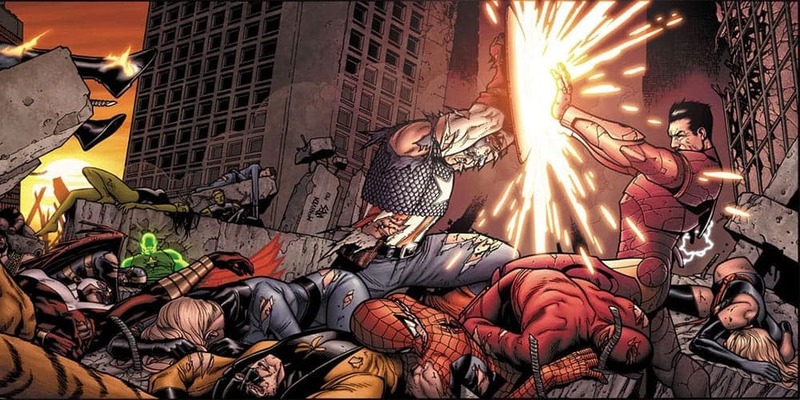 Civil War — There are only seven issues under the Civil War title, but almost a hundred in the full list. 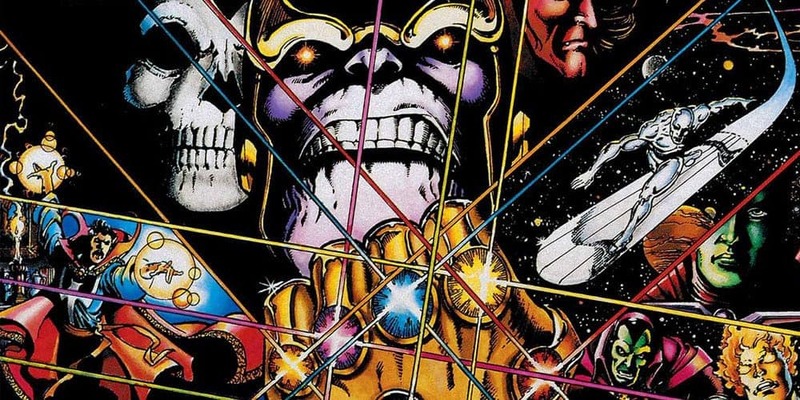 Here's everything you need to know to start reading. 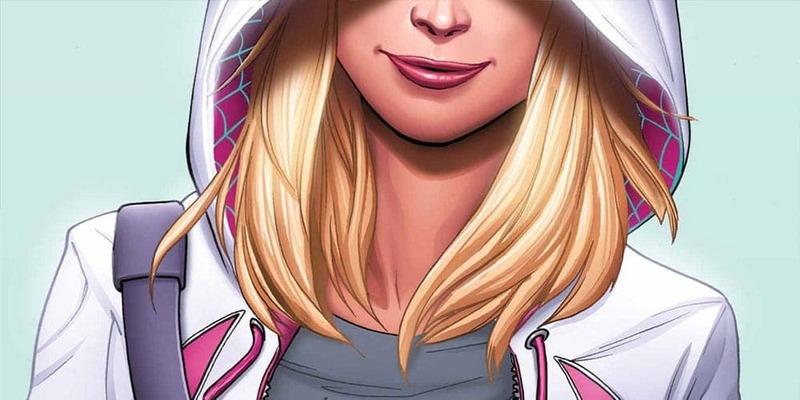 Spider-Gwen — The big Spider-Man story of summer 2015, Spider-Verse, introduced a world where Gwen Stacy, not Peter Parker, was bit by a radioactive spider. 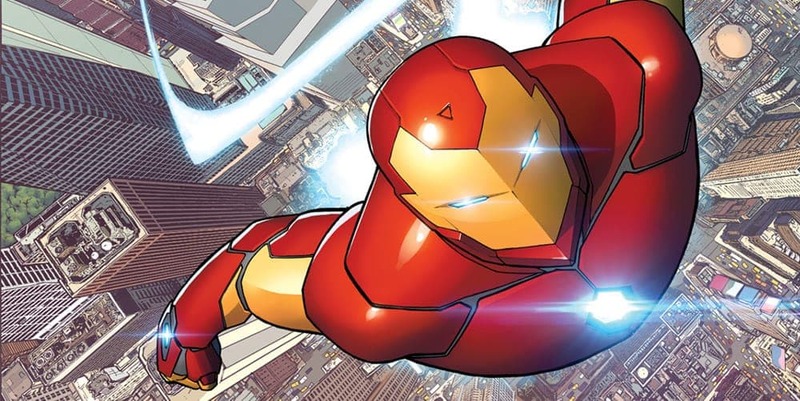 Iron Man — The best places to start reading Iron Man comics are Extremis or The Five Nightmares which inspired the movies, or the 2015 series for the latest on Stark. 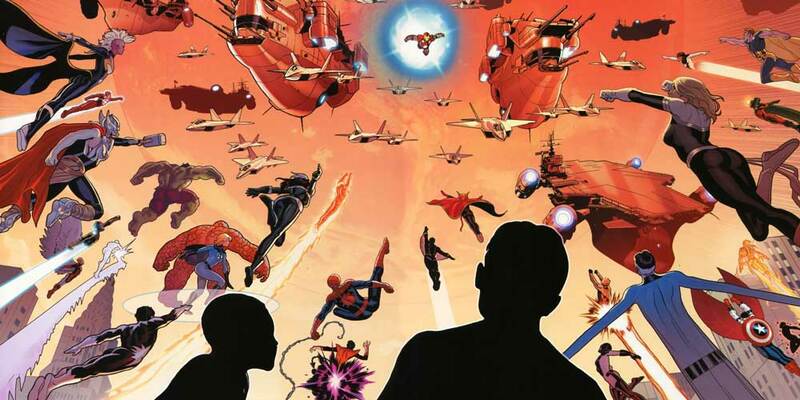 Secret Wars — The seeds of the 2015 Secret Wars by Jonathan Hickman began in his series Avengers (2012) and New Avengers (2012), greatest comic stories I've ever read. 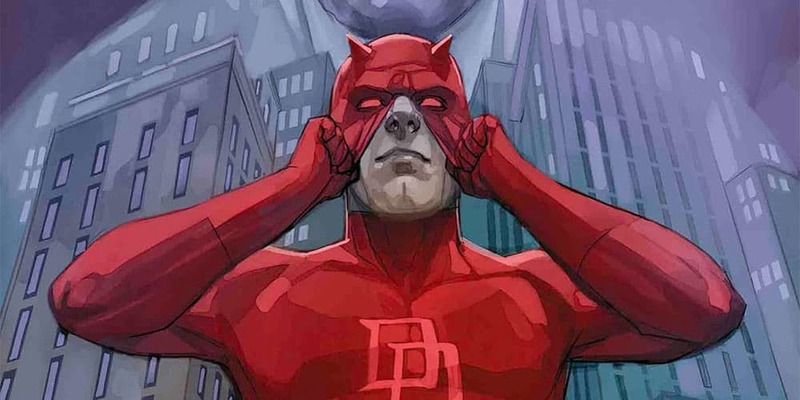 Daredevil — Daredevil's first comics don't much resemble the character you see on TV, but beginning in 1979 Frank Miller's work on Daredevil reinvented the character. 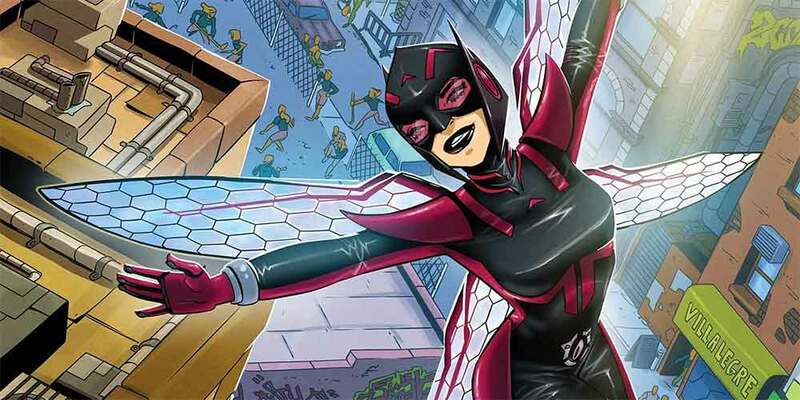 Wasp — Unstoppable Wasp is my favorite new series of 2017, full of humor and heart. Nadia has this incredible authentic, infectious optimism that doesn't feel naive. 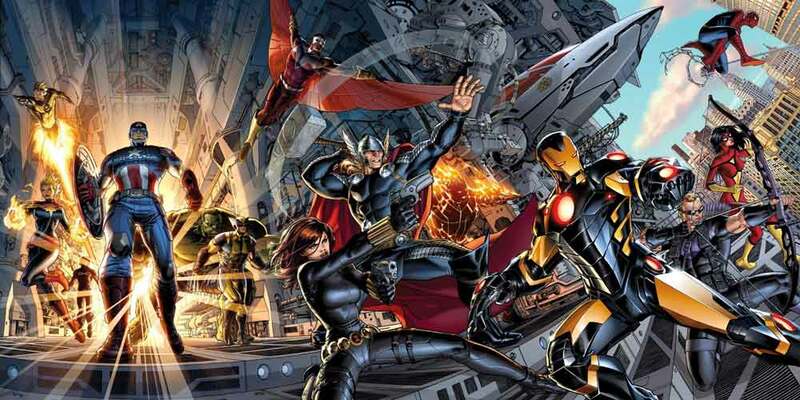 Avengers — There are two fantastic starting points for Avengers in modern comics: Bendis' New Avengers, and Hickman's Avengers / New Avengers. 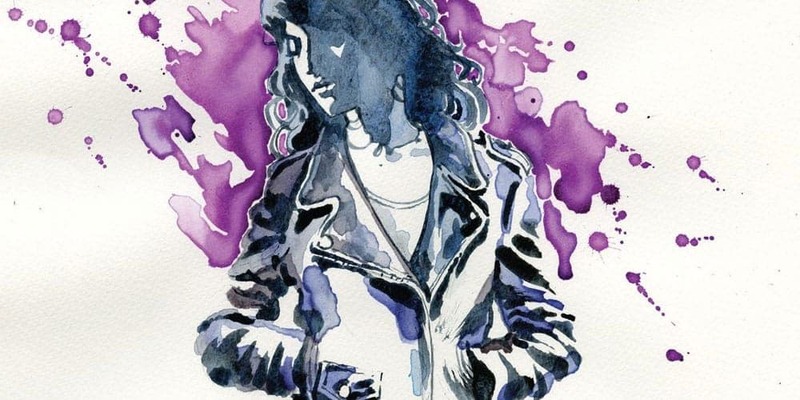 Jessica Jones — This is a heavy, R-rated, noir book, so expect something a little more mature than even the Netflix series. It's an amazing read though, and I flew through it. 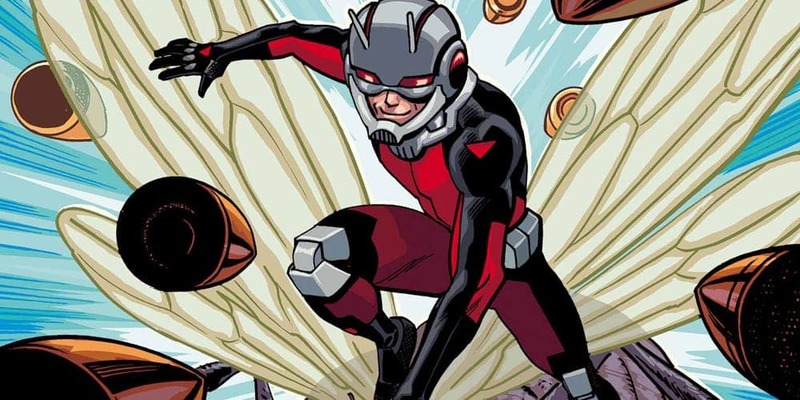 Ant-Man — If you've seen the Ant-Man film, you have a good idea of Scott's personality and the kind of humor you'll find in the 2015 Ant-Man series. 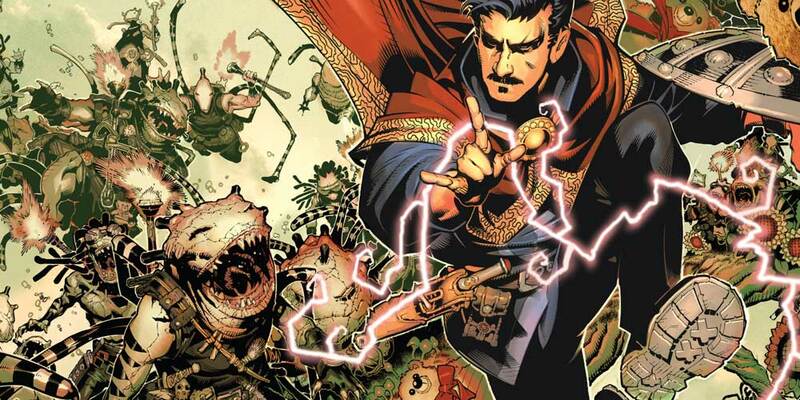 Doctor Strange — The 2015 series is a great starting point for new readers, and I've enjoyed the series a lot. Modern, funny, and beautifully drawn. 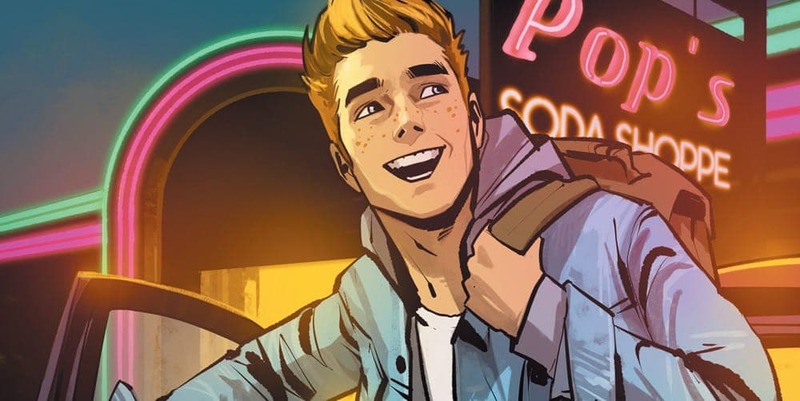 Archie — The new 2015 series was the rebirth of Archie comics into a modern era, and they could not have gotten a better team to do it. 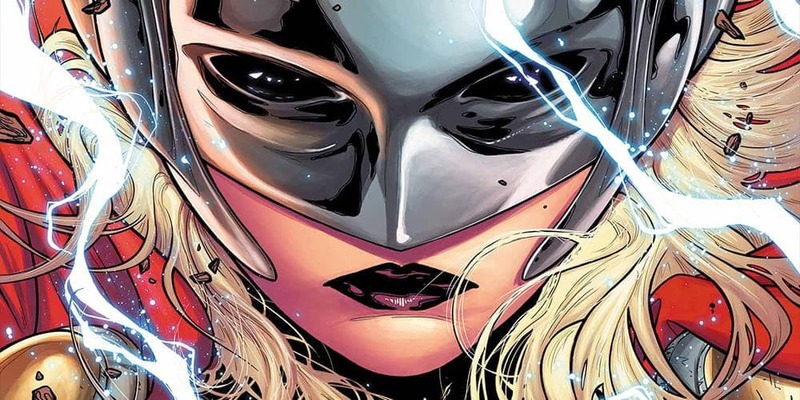 Thor — These are the two most recent Thor series, and they both make great starting points depending on what you're looking for. 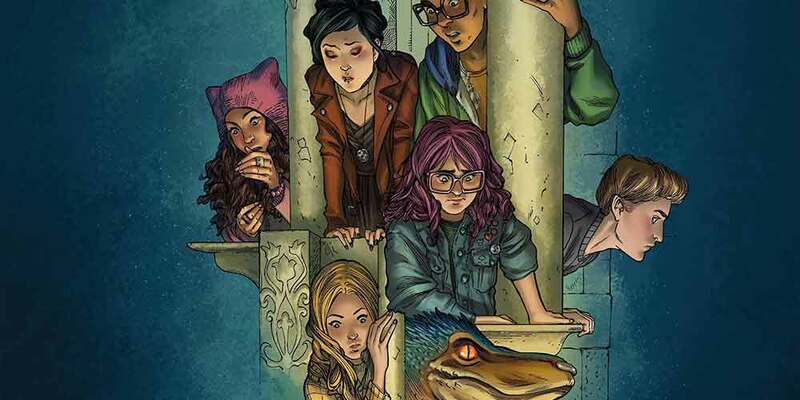 Runaways — Runaways is a fantastic series, soon to be a Hulu web series. The books require no previous knowledge and are very self-contained. 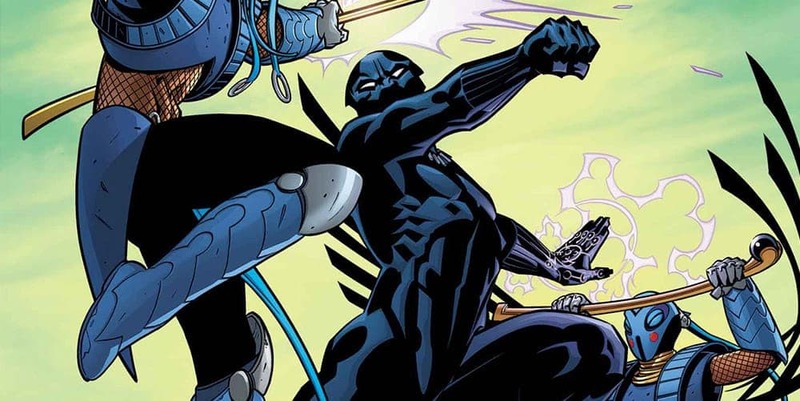 Black Panther — Ta-Nehisi Coates is a very respected writer for The Atlantic who has made his comics debut with the 2016 Black Panther series. 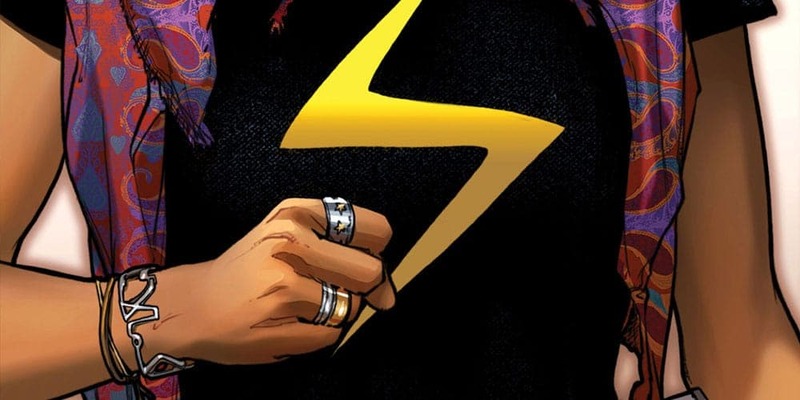 Ms. Marvel — Ms. Marvel is, in my opinion, the best new comic book character in at least the last decade. 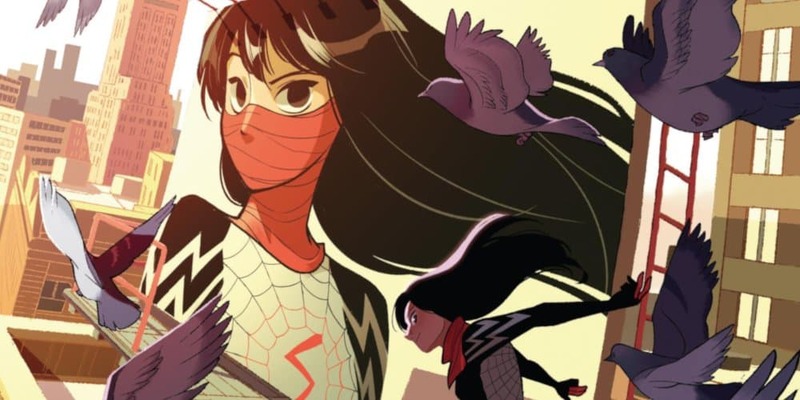 Her story is unique, inspiring, hilarious, and emotional. 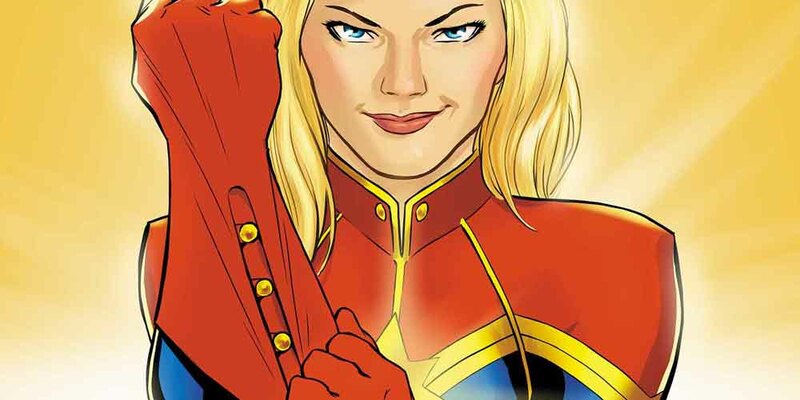 Captain Marvel — The best place to start reading Captain Marvel is at the beginning of Carol Danver's 2012 series. Books 1 & 2 especially are some of my favorite issues. 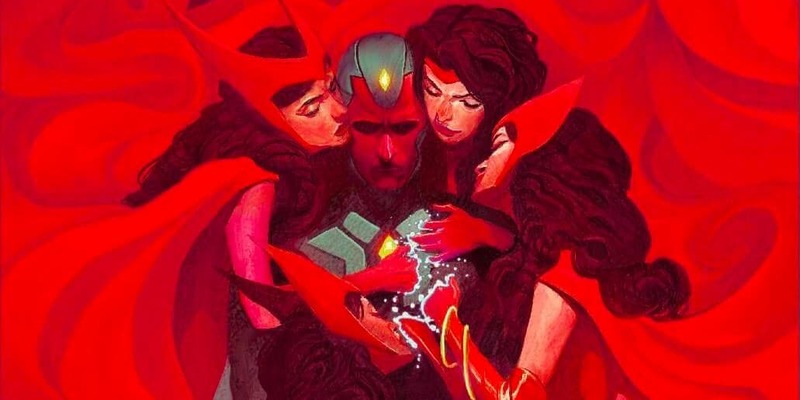 Vision — I haven't been this excited to lend out a book since Ms Marvel. It's a tragedy, from the very first issue. 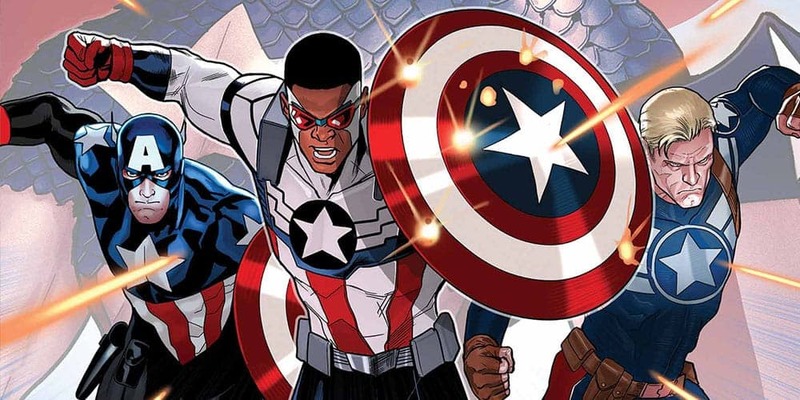 Captain America — I recommend starting Captain America comics either with the fantastic current book, the Secret Empire epic, or a self-contained book with classic Steve Rogers. 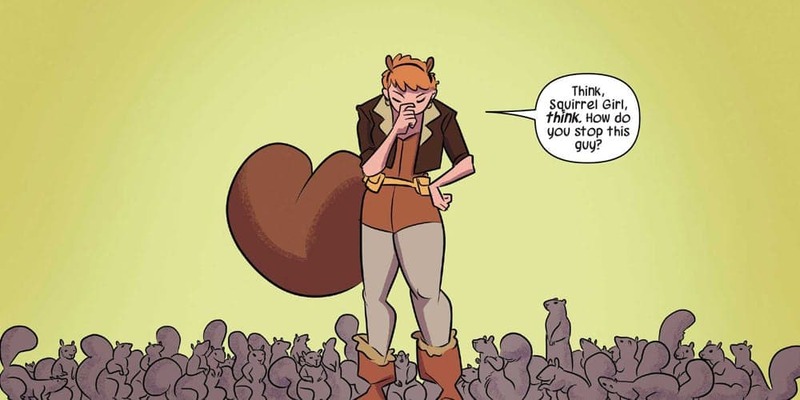 X-Men — I highly recommend the 2012 series All-New X-Men. 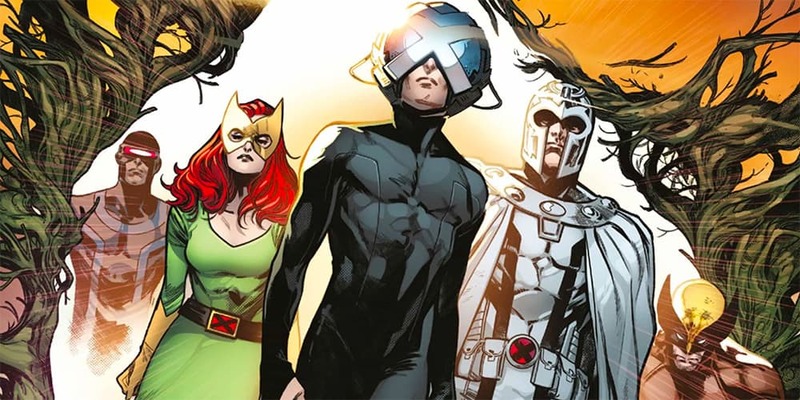 The original founding X-Men are pulled through time into the present. Old Man Logan — Old Man Logan began as a great short story, but has recently become a major part of the main Marvel universe. 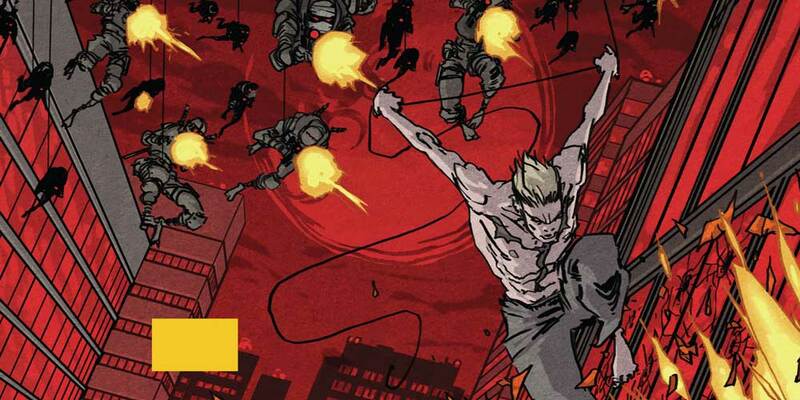 Iron Fist — The 2004 series Iron Fist: The Living Weapon is a great place to start, but has a darker feel. 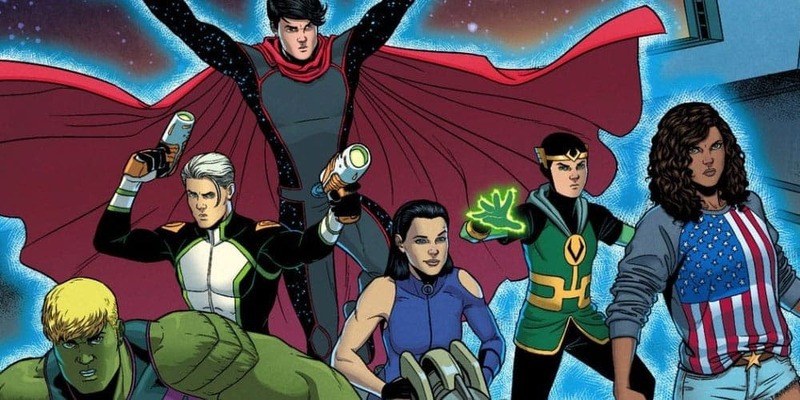 Young Avengers — "Young Avengers in its first incarnation was about being sixteen. 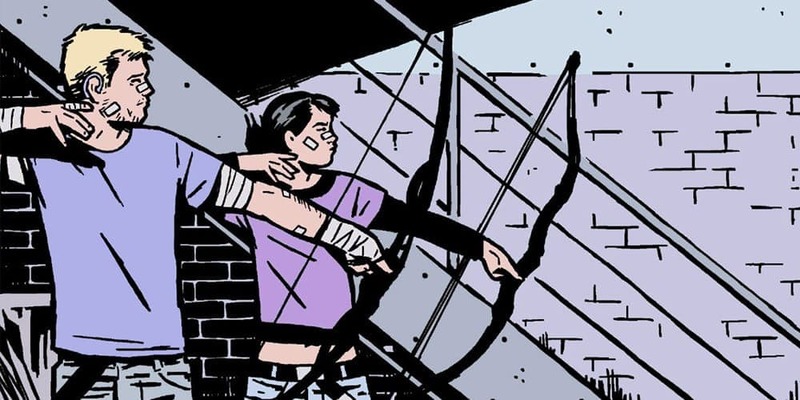 This Young Avengers is about being eighteen. The difference is telling and profound." 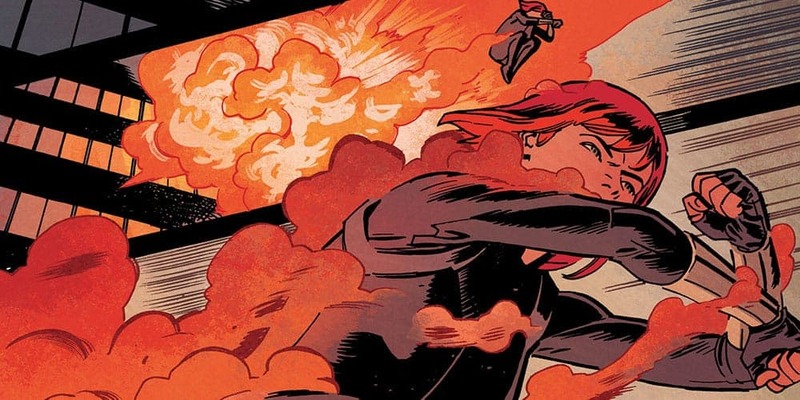 Black Widow — The last two Black Widow series have been filled with espionage, action, incredible art, and I can't recommend them enough. 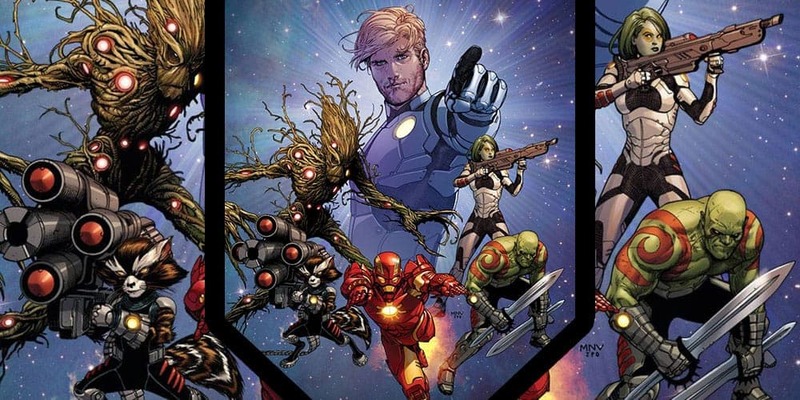 Guardians of the Galaxy — The name Marvel's Guardians of the Galaxy goes back to 1969. The series evolved a lot before the 2008 team with Star-Lord, Rocket, Gamora, Drax, and Groot. 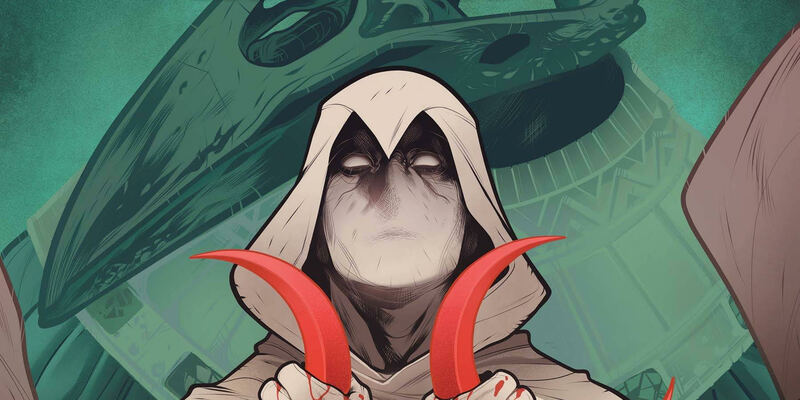 Moon Knight — The first book of the 2014 series of Moon Knight is the greatest action comic I have ever read, and the 2016 series is fantastic. 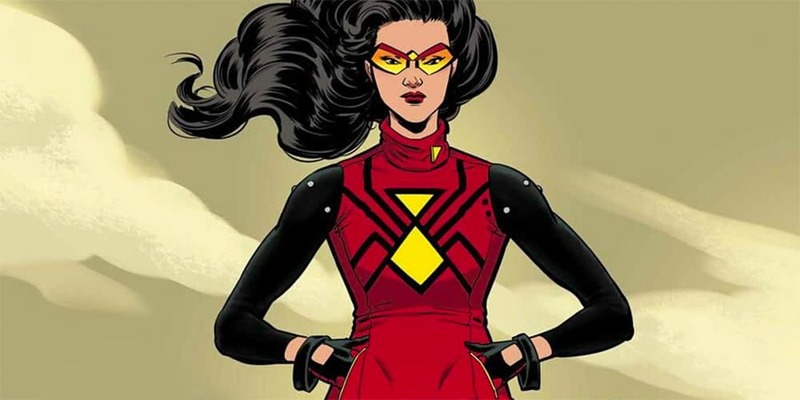 Spider-Woman — Spider-Woman is one of my favorite series out at Marvel right now, and it has cemented Jessica Drew as one of my favorite characters in the marvel universe. 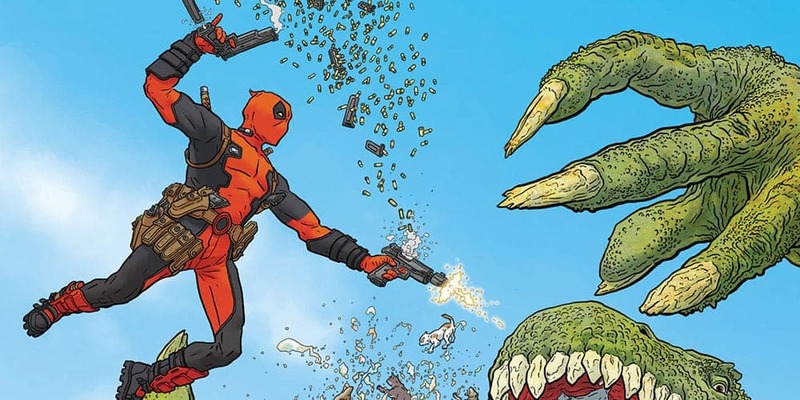 Deadpool — I highly recommend anyone interested in reading Deadpool start with Brian Posehn and Gerry Duggan's 2012 series. These are the two current authors. 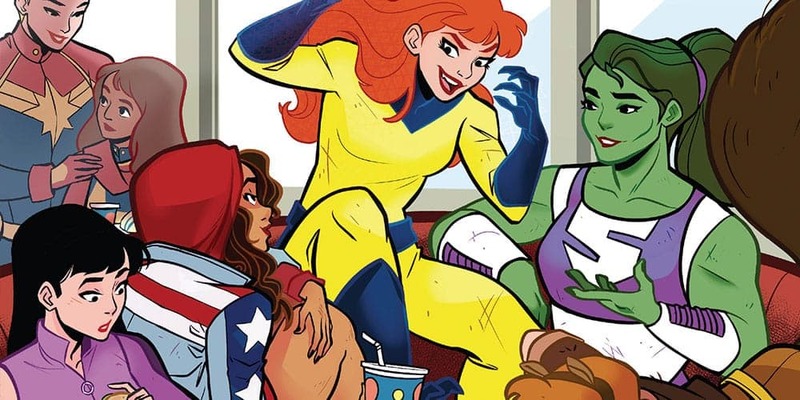 Patsy Walker AKA Hellcat — The 2015 series, Patsy Walker AKA Hellcat is a really fun series, with unique manga-inspired art. Very all-ages, but aimed at people in their 20s and 30s. 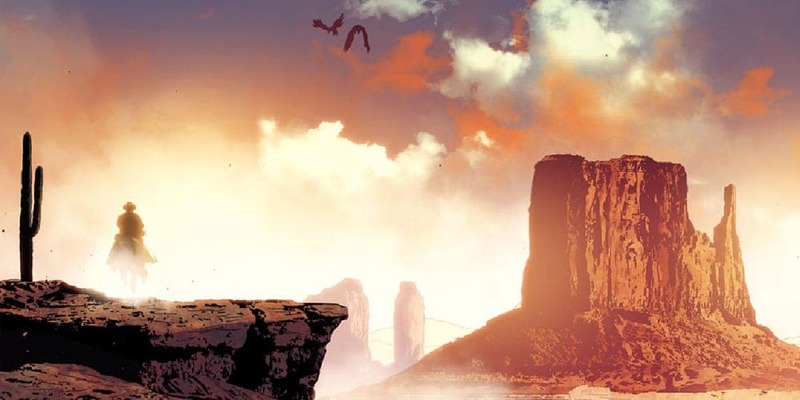 Wolverine — The story of Wolverine is a weird one for new readers. 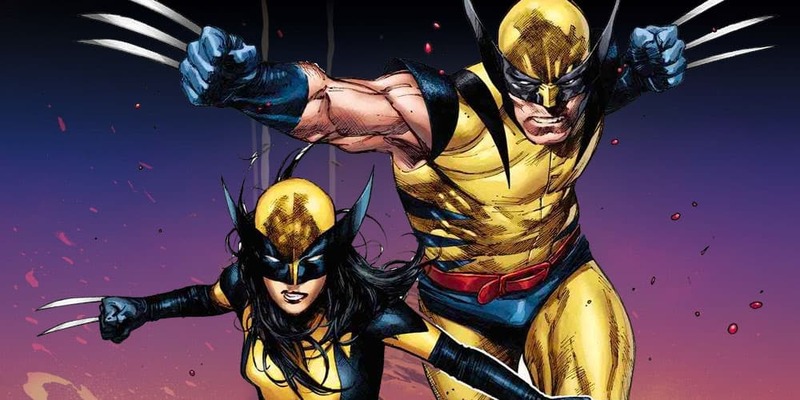 Logan is dead, and has been for a while, and his clone, Laura Kinney, has taken up the mantle. 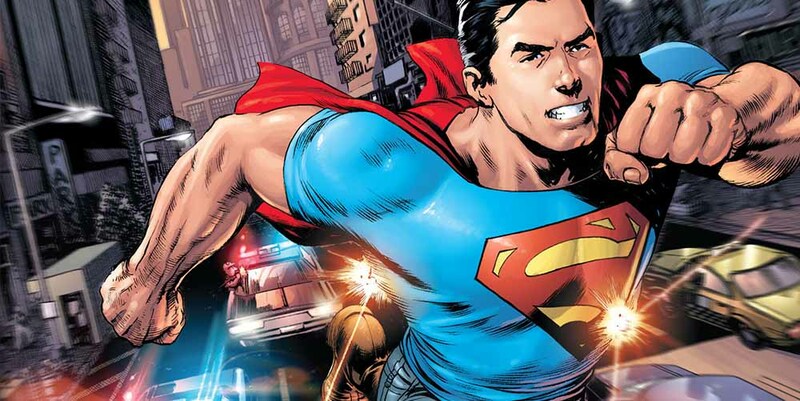 Superman — The three best places I would recommend for new Superman readers are the New 52, Rebirth, and a self-contained story. , tweet, or comment on an article.